In volume IV of this audio series, Dr. Scott Weingart reviews 4 topics covered in Emergency Medicine Practice over the last year, and provides additional information to supplement the content provided in the issue. Each topic in this collection condenses the information you need to know into easily digestible sessions. You only need to spend approximately 20 minutes listening to each topic to learn what you need to know! The entire collection contains an hour of evidence-based audio content and will give you recommendations that you can immediately begin applying to your practice. 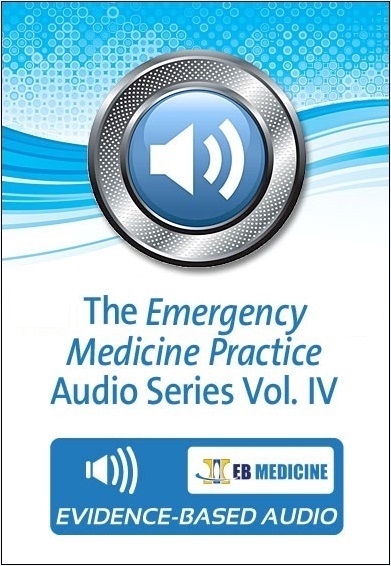 The Emergency Medicine Practice Audio Series Vol. IV includes an MP3 download (available as soon as you complete your purchase). This audio summary is intended for clinicians who treat patients who present to the emergency department or urgent care clinic with hypo- or hyperkalemia. 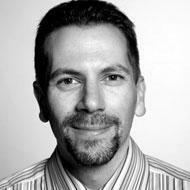 Identification and treatment of potassium disorders requires vigilance and recognition of concomitant conditions. This audio summary discusses the special considerations and cautions in management of potassium disorders, expands on the clinical pathway recommendations, and the caveats and tips for treatment. This audio summary is intended for clinicians who treat patients who present to the emergency department or urgent care clinic with acute decompensated heart failure. Acute decompensated heart failure can be evaluated with various techniques, and some are more efficient in simplifying management and improving the patient’s condition. This audio summary covers the assessment of patients presenting with acute decompensated heart failure and includes additional strategies for diagnostic testing, such as the use of ultrasound, and treatment, including when to utilize certain strategies such as noninvasive ventilation, not discussed in the issue. This audio summary is an outline of the management of genitourinary trauma for emergency clinicians and will aid clinicians who may not see genitourinary trauma on a regular basis. Genitourinary trauma may be more easily missed than intraperitoneal and other injuries seen on FAST examination. This audio summary covers the pertinent mechanisms of injury, historical questions, and physical examination findings necessary for identification of genitourinary trauma. Controversies in diagnostic testing are discussed, as well as management strategies for the types of injuries to the kidneys, ureters, bladder, and genitalia. This audio summary provides a framework for patient management for clinicians who treat patients who present to the emergency department or urgent care clinic with adrenal disorders and for clinicians who may not have strategies in place to recognize adrenal disorders. Adrenal disorders can be difficult to identify since many of the symptoms are nonspecific and can present as many mimics. This audio summary addresses the classic triad of hypoglycemia, hyponatremia, and hyperkalemia that is likely to appear on the patient’s laboratory studies, as well as caveats to diagnostic studies in identifying adrenal disorders. Special circumstances such as septic shock, cardiac arrest, and critical-illness-related corticosteroid insufficiency (CIRCI) are also discussed. The recent results of the ADRENAL trial are made available at www.emcrit.org/adrenal via Critical Care Reviews.